The Fire Prevention Office is located at 5809 Morrison Street on the ground floor of the Fire Administration Building. The Fire Prevention Division is comprised of a group of professionals who are dedicated to ensuring fire and life safety within the City of Niagara Falls. Within the division there are 4 Fire Prevention Officers, 2 Captains of Fire Prevention, 1 Director of Fire Prevention and 1 Fire Prevention Secretary. The staff strive for excellence and maintain professionalism through regular training including maintaining certifications. Fire Prevention within the City of Niagara Falls is achieved through a number of different practices that ensure the overall fire safety of the residents of the city as well as the many visitors who travel here each year. 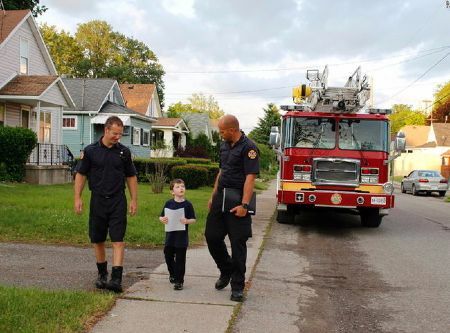 Fire prevention is implemented in Niagara Falls through public education programs, fire safety inspections, fire investigations and fire code enforcement, all of which contribute to the overall fire safety in our community. "Think of fire before is starts!"